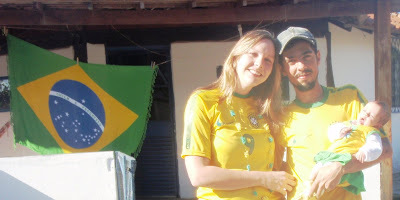 The Matias Family: The WORLD CUP 2010! The World Cup is a special world event that happens every four years. For Brazilians this soccer championship is VERY important! Brazilians stop everything to watch the games... they even stop working! The World Cup is an event that unites Brazil as a nation like no other event. It is incredible to see such a great sense of unity among the people. There also is a strong sense of dignity and pride of the Brazilian team and a pride of simply being a Brazilian. Almost everyone stops everything to come together with family and friends to keep track of the soccer matches, scores, ect... It is a great opportunity to be together. Showing our Brazilian spirit as a family! Our first World Cup together! GO BRAZIL!!! As a way of reaching out to the community we had the idea to open our doors and provide a fun and safe atmosphere for watching Brazil play in the World Cup. Everyone entering and getting ready for a game to begin! Painting faces to cheer Brazil on! Some of the beautiful faces of the children living in the slum of Cafezal. Cheering on the Brazil soccer team with the Brazilian flag! Our Brazilian daughter, Sophia, in her first Brazil outfit (bought by Daddy especially for the World Cup games). Felipe got this for her when I was still pregnant and was so excited about her finally being able to wear it. 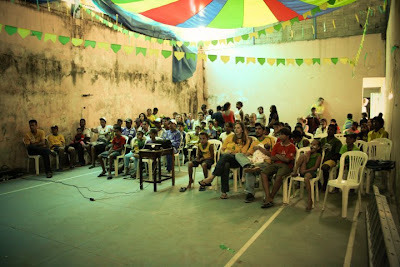 Here is the game of Brazil verses North Korea projected BIG on a wall at the Lighthouse. Brazil won of course! 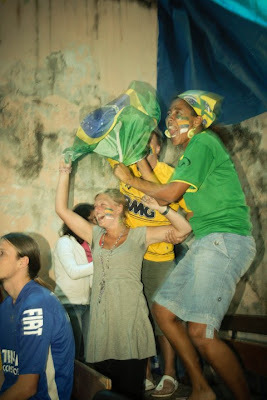 When Brazil makes a goal everyone goes crazy!!! 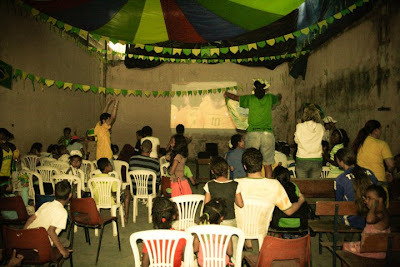 In the slum you can hear a loud cheer rise up from among all the people watching the game. It is incredible! During the games, I was often in my house with Sophia. 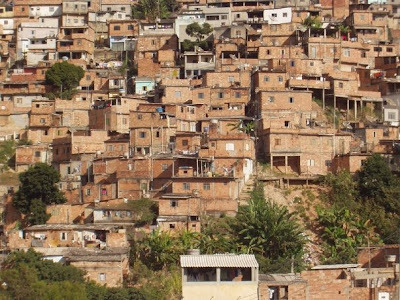 I ALWAYS knew when Brazil had made a goal because sounds of loud cheering, horns blowing, and fireworks were resounding in celebration of the goal throughout the slum! We are all cheering on the Brazilian soccer team here in Brazil! 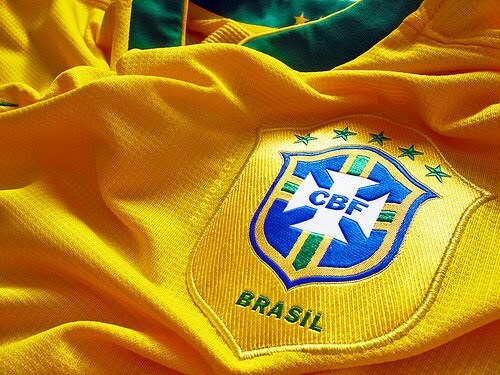 Let's see if Brazil becomes the 2010 World Cup Champions! I think that Brazil is going to go to the finals! But I also like the team Argentina. I like Felipe's jersey of KaKa! My Mom loves the family picture of y'all in your jerseys :) I stop working in the house and take a break and watch World Cup, just like Brazil!! haha GO BRAZIL! I loved this idea! Great! I would like so much to be there! I miss everyone! What was surprising to me was the number of Brazil flags flying in Haiti - they love the Brazil team! It was really hard to keep working when I knew that Brazil was playing - every time they scored you could hear people in the tents all around the compound and down in the city erupt! So, know that a lot of people in Haiti are having just as much fun watching Brazil! I don’t know why Brazilian team lost in the last world cup. But, I am optimistic of Soccer World Cup 2018 in which Neymar may be leading the team. Dunga has made him to the captain of the team. But, I want KAKA ON THE SQUAD. Top 10 Reasons why I love my Daddy!